Entities are probably the most interesting and intelligent thing you will find in Botsify. For the sake of this important lesson, we are considering a use case of ordering furniture for our home. Let me start from the very basics. 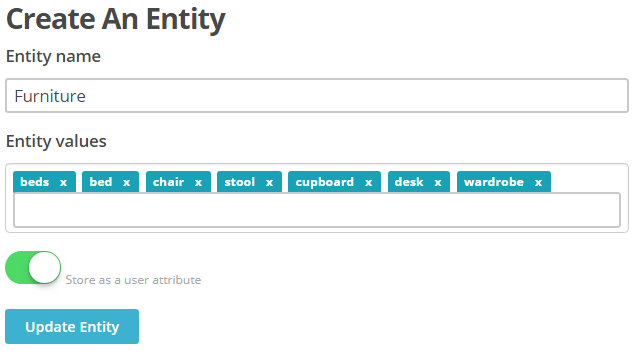 Entities are nouns, in the user query. We will create a query like: "I want 2 beds for my room". In this phrase, "2" is an entity which represents the number and "beds" is another entity which gives us information about a type of furniture. Much other application considers it as an intent, although we have merged it with entities for simplicity. 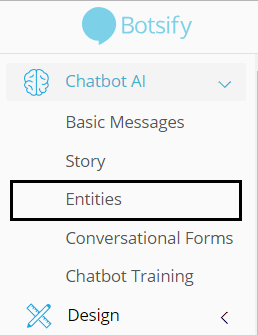 So let's see how can you use entities in Botsify. I will create an entity for furniture, and add some values. Like bed, desk, wardrobe. Now I will create a story and use this entity in my user's query. Now see the magic. 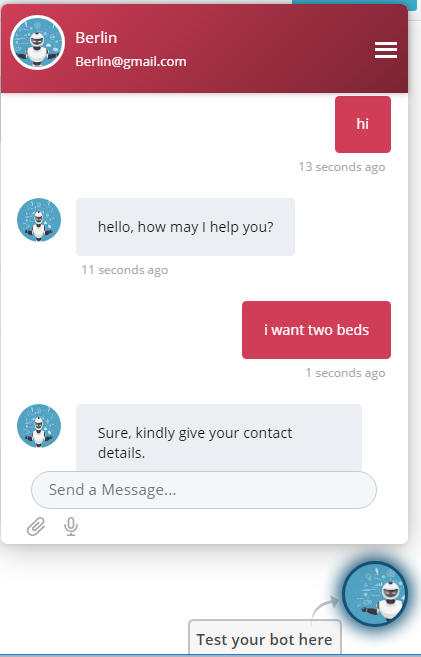 If my user asks: “I need 2 beds,” my chatbot understand that I am talking about beds. If my user talks about desk my bot knows that too. 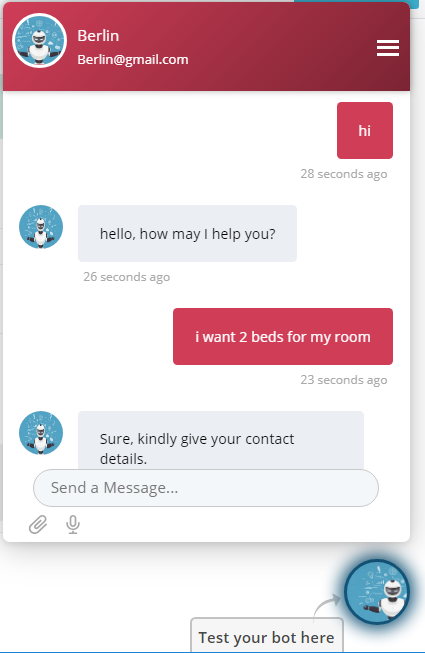 With just one simple story, and one entity we have created an intelligent enough chatbot for our furniture shop. We know about our customer's intention that somehow he needs beds. But we still don't know the number. Let's add one more predefined entity which is already build-up, to our story, such as number and see the magic. 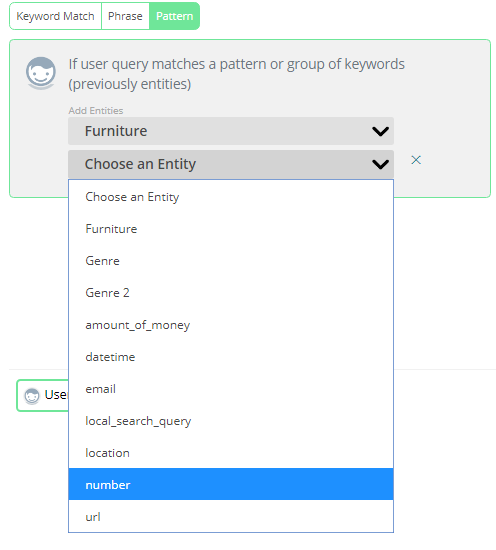 These entities are picked up intelligently from the user's query. 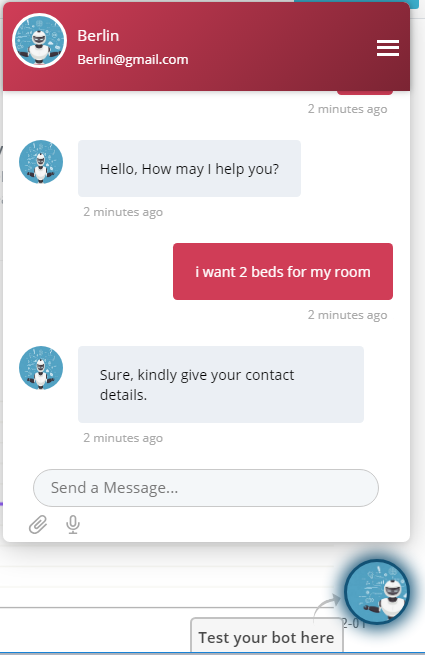 Now if my user says: “I want 2 beds for my room,” my chatbot understands. Even if someone says: “I need two beds”. My chatbot understands it just perfectly. This way entities can solve a lot of your problems related to cases where you are asking people about their inputs or anything, or collecting some data about their order. Such as this furniture shop.